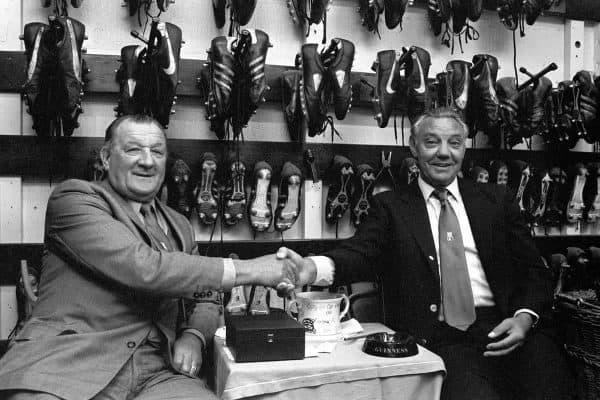 On what would have been Bob Paisley’s 100th birthday, Liverpool have released an inspiring video of the manager recounting his historic career in his own words. Paisley was born in Hetton-le-Hole, a village in County Durham, on January 23, 1919, with his alternative to a job in the local mining industry being life as a footballer. That began with Bishop Auckland, but he joined the Reds in 1939 and went on to help his side to the First Division title in 1947, after serving in the Second World War. “I came from a mining family, my father was a miner,” Paisley recalled, in a quote as part of a brilliant video from the club celebrating his life. “It was either going down the pits or being a footballer. “Sunderland had turned me down because I was too small, and then Sunderland came back again but I’d promised to come down to Liverpool. The video covers his transition from life as a player to a member of the Boot Room alongside Bill Shankly, Joe Fagan, Ronnie Moran, Tom Saunders and Reuben Bennett. After Shankly’s retirement, Paisley was surprised to become Liverpool manager “overnight” and went on to win six First Division titles, three European Cups, one UEFA Cup, one UEFA Super Cup, three League Cups and six Charity Shields. “There’s lots of people who earned more than me at this game, but there’s nobody enjoyed it as much,” he reflected.